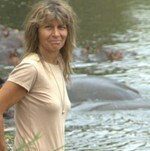 Beth Shapiro is associate professor of ecology and evolutionary biology at the University of California, Santa Cruz. 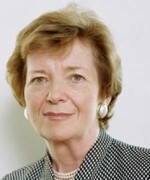 Her work has appeared in numerous publications, including Nature and Science, and she was a 2009 recipient of a MacArthur Award. 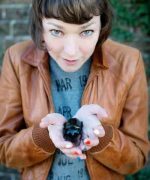 Her new book How to Clone a Mammoth: The Science of De-Extinction was named One of Flavorwire’s 10 Must-Read Academic Books for 2015. How does de-extinction differ from what we see in Jurassic Park, i.e. the re-creation of whole species for the enjoyment of humans? De-extinction is not possible, to start with. Jurassic Park is particularly not possible. The premise of Jurassic Park was that DNA was preserved in mosquitos, that were somehow preserved in amber. The scientists at this crazy park were then able to extract dinosaur DNA from mosquitos and sequence bits and pieces of that DNA and fill the missing parts in with frog DNA (which is another thing I don’t really understand because even at the time we knew that birds were more closely related to dinosaurs than frogs are). All of that is not possible, DNA is not preserved in amber and DNA from dinosaurs is 65 million years old. It is much too old to actually be preserved. The oldest DNA that we’ve ever been able to recover was from a horse bone that was preserved frozen in the arctic soil and it was about 700 thousand years old. And the only reason we were able to get DNA from something that old was because the bone was frozen pretty much immediately after death and stayed that way. De-extinction, the idea of bringing a species back to life after it is gone, extinct, would require cloning. That requires a living cell. Once an animal is dead, there aren’t any living cells in its body. The DNA starts to be broken down right away by water and oxygen and UV light and by microbes living in the soil chewing up the DNA. That’s not possible. How might we bring something like a mammoth back to life? It’s not possible and it’s also ethically probably a terrible idea, but let’s pretend that’s not true for the moment and say how would we do it. We would take an elephant cell. Importantly, elephants and mammoths are a very closely related species. They have a common ancestor about six million years ago and elephant DNA is already 99% identical to a mammoth’s. So all we have to do is take that living elephant cell and swap out that remaining 1%, switch the DNA from the elephant version of that DNA to the mammoth version of that DNA, and there are genetic tools that are available today with which one could do that. That’s where we are with de-extinction and, in fact, we now have complete genome sequences from a couple of mammoths and scientists have started to make lists of genes that are different between mammoths and Asian elephants. There’s even a lab at Harvard, headed by George Church, where they’ve used these genome-editing tools and swapped out fourteen genes. They have elephant cells growing in a dish in a lab that have fourteen mammoth genes, so they are mammoth-like cells. But that’s a very big difference: having cells growing in a dish and having an actual animal. Getting the rest of the way is something we can’t do, yet. And ethically is probably a terrible idea. But that is the process that one might use to bring a mammoth back to life. If we were able to bring a mammoth back, what would the purpose of that be? If we pretend, for a moment, that it’s technically possible – which it isn’t – and that it’s ethically ok – which it isn’t – why might we want to bring a mammoth back to life? Well, for me there are two reasons. The first is ecological. Elephants play a very important role in their ecosystem, they’re the biggest herbivore that exists. They wander around knocking down the big things and allow the habitat – the grasslands – to regenerate themselves. There’s no reason to suspect a mammoth wouldn’t have done the same thing. 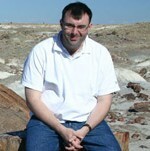 There’s a Russian scientist called Sergey Zimov who has a park in North-Eastern Siberia called ‘Pleistocene Park‘. The Pleistocene was the geological interval that existed before the current one, which is the Holocene, sometimes the Anthropocene. It was the age of Ice Age Giants and he is preparing this park for the return of Ice Age Giants and so far he has bison and horses and five different species of deer. He doesn’t have mammoths yet, but he is making up for that using large road-rolling machinery. What he’s found in this Pleistocene Park of his is that where he has these grazing herbivores – bison, horses, deer – just by virtue of wandering around on the permafrost, digging up the soil, recycling nutrients, spreading the seeds around they have actually changed that habitat. They have reestablished the rich grasslands that used to be there during the time of these Ice Age Giants, creating the habitat that they themselves need to survive. Not only are these animals there and quite happy, but he’s also noted that things like saiga antelope have come to visit the park because there’s loads of stuff for them to eat there. He argues that giant herbivores are still a missing component that would really help to push this environment over the edge. There’s a potentially compelling ecological reason to bring mammoths back to life. The next reason is more sentimental. Few of us are willing to imagine a world without elephants, but Asian elephants are endangered. Every year there are fewer of them. Their habitat is continuing to disappear as human populations grow. We’re having trouble stopping poachers taking them for their ivory. 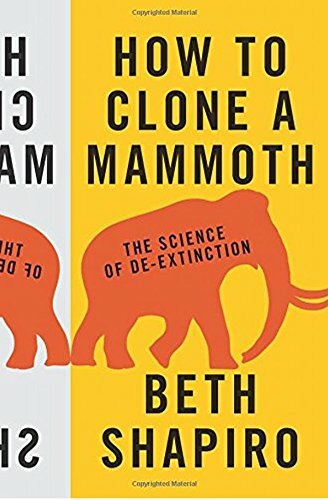 What if we could use this technology, this same swapping out of genes technology, not to bring a mammoth back to life, but to change an elephant a little bit so that it has some of the evolutionary adaptations that a mammoth had? Say, adaptations that allow it to survive somewhere cold. Elephants are a tropically adapted species, mammoths lived in the Arctic. If we could swap out some of the elephant gene and allow elephants to live in Europe, or Siberia, then we could create new habitat for elephants where they could survive while we tried to fix whatever mess is going on in their natural habitats. What if we could use this technology not to bring extinct species back to life but to save species that are alive today and yet in danger of becoming extinct because of changes to their habitat that are often caused by us? What are the ethical issue with this project? The ethical and technical and ecological issues are different for each species. for mammoths, the major ethical problem is that it necessarily involves the use of elephants in captive breeding environments. We know that elephants don’t survive well in captive breeding environments. They often fail to reproduce, even with assistance. When they do they sometimes injure or even kill their offspring. Elephants, first of all, should be allowed to make more elephants and secondly shouldn’t be in captive breeding environments until we know how to meet their physical and psychological needs. They certainly shouldn’t be used in crazy, hypothetical experiments to bring mammoths back to life. Ethically, mammoth de-extinction is a terrible idea and really out of the question. There are other species where the ethical challenges are not as severe. Take passenger pigeons for example, or other birds. You don’t necessarily have to involve another type of pigeon to bring back a passenger pigeon. All you need is an egg that you can incubate, and you can rear them separately. There are separate issues with birds. We can’t clone birds at all, even after editing their genomes. There’s a big technical hurdle that we would need to get over. There are ways around this potentially, so for every species that one considers, there are different challenges. Your first book choice is Edward O. Wilson’s Diversity of Life; how did this book change your understanding of the natural world? I should start by saying that in my field, genetics, stuff that people publish is generally out of date within six months. The kind of literature I read is really fast-moving, short papers published in journals, and there’s often a rush to get them out. There are a few books that everybody reads. 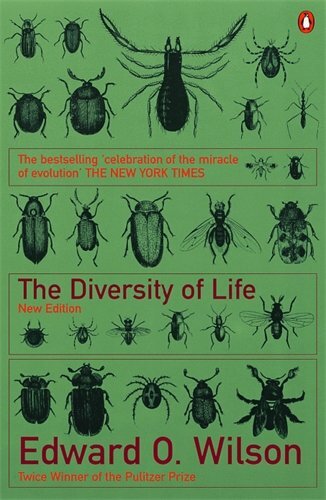 I chose this book, The Diversity of Life as E. O. Wilson is really well known as the king of biodiversity studies. 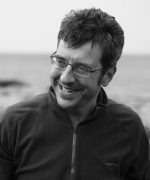 He’s a conservation biologist, a really deep-thinking ecologist and he cares a lot about understanding how life exists, the diversity of life that exists, how many species there are, how many different habitats there are, and in particular what our influence on these different habitats has been. In this book he walks through multiple extinction events. The most famous extinction event is the end of the Cretaceous, when the Dinosaurs went extinct. But the most dramatic was the end of the Permian, which was about 245 million years ago, when something like 95% of all species on the planet went extinct at the same time. He points out that after each of these extinction events, biodiversity of life on the planet has recovered, and it’s often different. The dinosaurs went extinct, making way for our species. If the dinosaurs hadn’t gone extinct, we probably wouldn’t be the most powerful, brainy thing wandering around the planet. But the dinosaur extinction happened and it made way for mammals to diversify. This book was published in the early 1990s, but he’s recently been promoting this idea that we should preserve 50% of the planet for everything else. So we get 50%, everything else gets 50%. Right now we have about 90% and everything else has about 10%, which hardly seems fair. If you think about the fact that we’re one species and everything else gets only 50%, it also doesn’t seem fair, but it’s something to aim for. 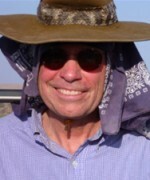 He’s particularly keen on connectivity between preserved habitat. 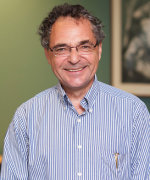 He thinks this is important because, as the climate changes, temperatures might not exists any more in particular temperature regions, but might still exist further north. But if there isn’t connectivity between preserved regions, there’s no corridor these species can use to disperse, and then they go extinct. E. O. Wilson has been and is and continues to be a very powerful and dominant voice in conservation literature and this is an important contribution of his. Has anything changed since the early nineties? Has anybody outside of your field been galvanised by contributions like this? I would like to say yes, but I don’t know. Conservation is a strange world and people who care deeply about conserving species often believe that more people exist that are like them. But I fear the majority of people really don’t care about extinctions and biodiversity if it doesn’t effect them personally. The goal of of people like E. O. Wilson and others who have written about extinctions – I’ll get to Elizabeth Kolbert’s book at the very end – is to try to make people have some personal link to the diversity that exists on the planet. To know something, to feel something personally that actually motivates them to care. One of the interesting things about de-extinction is that it’s not possible and it’s kind of crazy, it makes some people really angry and it makes other people really excited, but it is a new way of thinking about biodiversity conservation. People often say to me when I speak, ‘You’re sucking away from something that’s already way underfunded, don’t you feel terrible about that?’ But I don’t think it is. If you look at the funding that goes to conservation, people give to causes that they personally care about: that’s how you get people involved. You couldn’t convince somebody who wants to save the polar bear to give money to save the snowy owl, for example. Or you couldn’t convince somebody who cares about frogs to give money to save the polar bear. I don’t think that by introducing this new crazy, wacky, potential tech solution we’re taking money away. My hope is that we’re attracting people who otherwise wouldn’t even think about it. 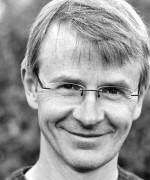 Book two is The Cave Bear Story by Björn Kurtén. I picked this book because it’s similar to my own academic research trajectory. 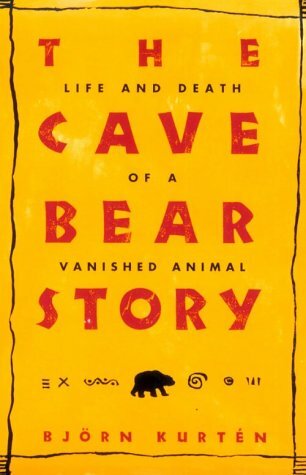 This book was written in the 1970s and cave bears are the most common Pleistocene fossil that we find. There are thousands of them in caves across Europe and by looking at these fossils it’s possible to reconstruct the evolutionary story of these animals all the way through to their extinction. Which is what he does here. It’s kind of what I do, but, rather than just looking at fossils, we extract DNA from these fossils and try to follow the story through time – looking at their evolutionary history by how their DNA sequence has changed. This is the first time anybody looked specifically at one species and tried to see: how did they grow? How did they interact with their environment? What happened when other species turned up in their environment? What was the immediate effect of humans on this species that disappeared? 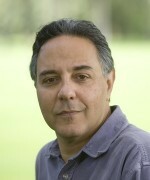 He’s also a very good writer, so it’s a really interesting story to read. It’s a little outdated in parts. There are some bits of it that are wrong. But despite that it’s such a compelling history of a species and how that species changed in response to first environmental change – the Ice Age – and people competing with them in the landscape and then competition with brown bears: who eventually won, brown bears are still alive and cave bears are not. 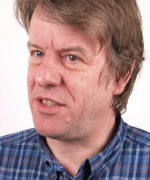 I’ve just started working with a collaborator on Germany – Michi Hofreiter – on a big cave bear genomics project. So I have a special fondness for this book because it’s setting up hypotheses that we’re intending to test with DNA in the next couple of years. Did cave bears become extinct because the brown bear fought with them? This is another brilliant thing about this book. Most people around this time when they were talking about why a species went extinct would say either it was A or B. Either it was humans who killed them, or climate change that killed them. He doesn’t do that. He says that it was a combination of all these things: it was competition with brown bears; it was people who were killing both brown bears and cave bears; and it was change in habitat, change in resource availability that gave brown bears an advantage over cave bears so they eventually won out. But it took all of those things together to make them go extinct and any of those things separately wouldn’t be sufficient. It’s a similar story to what’s going on with things that go extinct in North America within the last ten or fifteen thousand years. For a long time the competing hypotheses were: the ice age killed them or people turned up and hunted them to death. We now know pretty clearly that it must have been a combination of these things. The DNA sequences that we’ve extracted from these remains show us populations of things like bison and horses – which went extinct in north america about fourteen thousand years ago (they were reintroduced by Europeans a couple of hundred years ago). Bison almost went extinct, mammoths did go extinct. The initial decline of all of these populations began something like thirty-five thousand or forty thousand years ago and this is important because the peak of the last Ice Age was about twenty or twenty-five thousand years ago. The decline was well before the peak of the last Ice Age, and there’s no evidence for large numbers of humans in North America till around fourteen thousand years ago. The initial stages of the declines of these species is not caused by humans hunting them. It can’t be. We weren’t there. It must be a combination of all these things. I’m not willing to let us off the hook ultimately for the extinction of these species. But clearly there was something going on that was bad for them prior to people turning up. I read that cave bears were worshipped by Neanderthals? is this true? The jury is out. Nobody really know what Neanderthals worshipped. There’s cave art from modern humans in which bears and lions and other things feature. They were pretty awesome creatures. We might want to worship them if they were alive today. Spectacularly large – just beautiful animals. 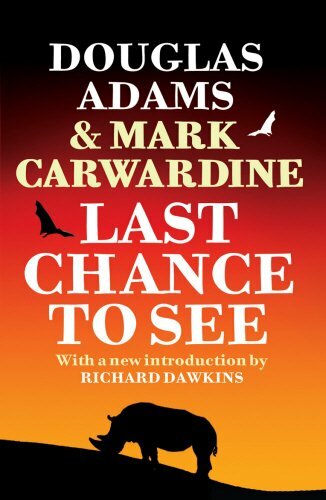 The next book is Last Chance to See by Douglas Adams and Mark Carwardine. This accompanied a BBC radio series and then it had a follow-up TV series in 2009. What effects do these very popular series have on changing human behaviour? I think if people see other people that they respect caring, they might be motivated to care. I only read the book because I read the science fiction series. I picked it because I just love the way he writes. He describes in this book not only the beauty of these animals, but the human landscape they live in and what a disastrous time he has getting to these locations. You’re not surprised these things have gone extinct because the whole idea of how they were being protected just seems so calamitous and disastrous and uncontrolled. Many of these species he talks about in this book are gone, they don’t exist any more. It’s a different way of looking at conservation. When you approach these topics with a different perspective and a different attitude and different eyes you attract a different audience and the more people we can attract to this with different viewpoints and different likes and dislikes, the better off we are going to be if we eventually do want to save any of these species. 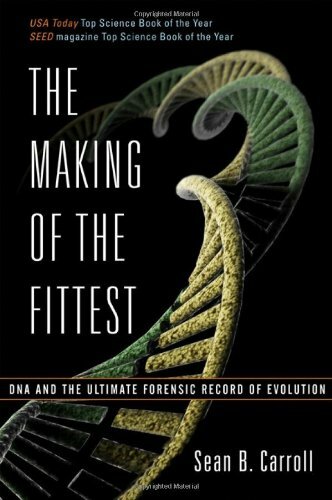 Book four is The Making of the Fittest, by Sean B. Carroll. Why did you chose this book? There are a lot of books out there about evolution and extinction. I chose this one because he focusses specifically on what we can learn about evolution by looking at genome sequences, at DNA sequences, which is what I do. There’s a lot of literature that talks about fossils and how we see fossil forms and fossils as evidence for evolution and extinction. But what he goes into tremendously interesting detail on is how the DNA sequences themselves contain the fossil history of evolution. All species share some of the same genes, some of these core processes that are involved with making cells and making proteins. They’re the same in everything that’s alive that does these things. That’s solid evidence that these things have shared a common ancestor in the past. He also shows evidence from fossil genes, that when a gene isn’t needed you see mutations accumulating along that sequence that make the gene non-functional. He talks about converging evolution: the idea that you might get the same mutation arising in different lineages to do the same thing. I just think it’s such a different way of looking at evolution, of understanding evolution, of finding evidence for evolution – just looking at DNA. It means a lot to me. We’re tracing the history of populations: when they were growing, when they were shrinking, when local populations might have gone extinct and been replaced by something else, how different traits evolved that might be adaptive – that might provide an advantage to a species that has them. 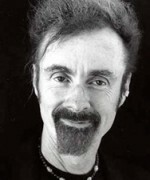 In my own work, we’re doing something really similar, except we’re not looking over the deep history of evolution, we’re looking over the last couple hundred thousand years and not trying to understand how different species diverge from each other, but how populations change through time and respond to changes in their environment. So we use the signal of recent evolution past – preserved in DNA sequences of these bones that we dig up from the permafrost – to learn about when populations were getting big or when populations were getting small or when local populations went extinct and might have been replaced by individuals moving in from somewhere else. You wouldn’t see that if you were just counting bones, or looking at the fossil record. But with DNA we can actually translate the amount of diversity we see to how big that population is. It’s a hugely powerful way to learn about how species and populations and communities respond to these short-term evolutionary triggers, like climate change and humans turning up on the landscape, for example. How old is this field? Was this book the first? There’s an enormous and growing field of population genetics, or phylogenetics. Phylogenetics is using DNA sequences to try to understand the evolutionary relationships between species. This stuff has been going on for a long time. Before it was DNA, people were hybridising proteins together. It was only in the 80s that it became possible to sequence DNA. Then it was only in the early 2000s that it became possible to sequence a lot of DNA really cheaply and that has really caused this field to take off. We now have hundreds, thousands, of complete genome sequences from humans from across the entire global population, and we can use that to infer the history of the peopling of the world, the spread out of Africa, how the early population that left Africa hybridised with Neanderthals, we see the residuals of that, the traces of that, in our DNA sequences. People of Sub-Saharan-African origin have no Neanderthal DNA in their genomes, but everybody else has something like 1-4% Neanderthal DNA. That’s evidence that when our ancestors left Africa, they mated with Neanderthals and they had offspring. We have grandparents that were Neanderthals. Well, not grandparents, but you know what I mean. All of this stuff is archived in our DNA and this is really what Carroll highlights in this book, but more from a deeper evolutionary perspective. I’m an evolutionary biologist, but it is an incredibly compelling evidence that evolution is fact, that it is something that is definitely real. We have the residuals of this in our genomes, in the genomes of amoebas and in everything else that exists on this planet. Does anything hugely surprising emerge through this knowledge? All the time. About two years ago the same team that sequenced the Neanderthal genome found a tiny little pinkie bone in a cave in Siberia – Denisova Cave – and sequenced a complete genome from this thing and discovered an entirely new species of homonin that we’re related to, that probably hybridized with human populations and Neanderthal populations as they were spreading around the world. This is from a tiny little fragment of a pinkie bone: a thing that we didn’t know existed prior to that. This kind of discovery happens all the time with DNA. We were shocked to find that we had hybridized with Neanderthals. For a long time, they had said ‘absolutely not’, there’s no evidence of hybridization. And that’s because for a long time in my field – in ancient DNA – we were focussing on something called mitochondrial DNA. Every one of our cells has two types of DNA: the nuclear DNA, stuff that’s in the nucleus that makes us look and act the way we do, and mitochondrial DNA, which has its own genome that lives outside the nucleus of the cell and we inherit only from our mom. You can only tell your mom’s mom’s mom’s mom’s history. But there’s a lot of it in every cell. In ancient DNA, where the amount of DNA that’s preserved deteriorates through time, it was thought for a long time that the only thing we could actually recover was this mitochondrial DNA. They looked at tons of Neanderthal specimens and never found any evidence for human types of mitochondrial DNA in any of these bones and used that to conclude that there had not been hybridization between these two species. It was only when they were able to sequence the rest of the genome, the nuclear data that we inherit from the both of our parents, that they started to see this. Of course, there’s an interesting side story there and that is that all of the bones that we collect for ancient DNA work are contaminated. We touch them and our DNA gets in them, they’re buried in the ground and soil DNA gets in them. We always assume that there’s going to be a little bit of human DNA in everything. So if one were to extract DNA from a Neanderthal bone and see a human mitochondrial sequence, one might just say ‘oh it’s just contamination,’ and throw it out. So who knows? Your fifth and final book choice is Elizabeth Kolbert’s The Sixth Extinction. Why is this sixth extinction so significant? 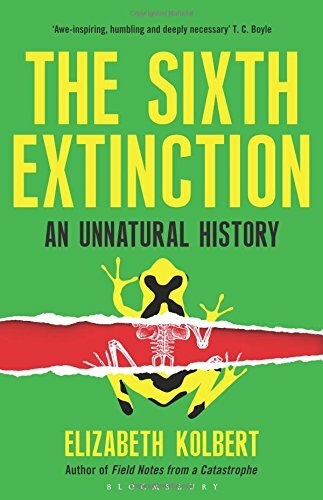 The sixth extinction is significant because we are causing it. That is scary to us. We’re driving species extinct in every habitat across the planet, particularly oceans. We have not slowed down the rate of population growth and spread and use of habitat and resources and it’s a frightening thought: perhaps we are on the verge of another one of these events where we lose most of the diversity of life on Earth. Earth will recover, it might take ten to a hundred million years to do so – as E. O. Wilson points out in his books – and perhaps we will go extinct as well. I think that that is one extinction that we can probably get most people to care about. Can we get some hope from the idea that the world will recover its biodiversity? It depends how you feel about biodiversity. If you care only about humans then maybe we should be worried. In the past, life on Earth recovered. Extinctions were mostly caused by catastrophic events. We are a catastrophic event for this planet – like asteroid impacts that caused the dinosaur extinction. The Earth recovers and the species that were dominant prior to whatever that catastrophic event was go extinct and other types of species, other lineages, rise and become dominant. I think that is probably what we have to fear – that the dominant species goes extinct. But the planet will be fine, eventually.